Cheryl Heyres (Performing Arts/Music) Cheryl Heyres serves as the Performing Arts and Music Director at Léman International School Chengdu. Cheryl Heyres (Performing Arts/Music) Cheryl Heyres serves as the Performing Arts and Music Director at Léman International School Chengdu, China. 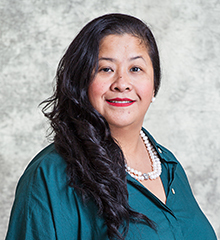 Ms. Cheryl is originally from the Philippines and earned her Bachelor’s in Music Education from the University of Santo Thomas, Conservatory of Music. This is Ms. Cheryl’s 16th year of teaching with 5 year teaching opportunities at International School Manila and Alston Middle School in the United States along with her current 6 years at Léman International School. During her time in the United States, Ms. Cheryl was awarded the opportunity to perform as the director of the Instrumental Music section of the STARTS and GATEWAY program in the Dorchester 2 School District in South Carolina. In addition to this directorial accolade, Ms. Heyres has also trained students to perform at the global level with festival performances in the United States, Europe, and Asia. Ms. Heyres has also had an illustrious career in performing music. Ms. Heyres is a former principal cellist in the UST Symphony Orchestra as well as a member of the Manila Philharmonic Orchestra. She has traveled globally to perform in countries that include Hong Kong, Singapore, Belgium, Malaysia, Indonesia, China and the United States. Through her travels, Ms. Heyres has also had the opportunity to perform with many international talents such as Broadway Star-Lea Salonga, Pianist-Cecil Licad, and world renowned performers such as Josh Groban, and Andrea Bocelli. With the implementation of the Juilliard-NAE Performing Arts Programme, Ms. Heyres received training from The Juilliard School in New York last August of 2016 for the Music Program and attended training at the Juilliard School last August 2018 for the Dance Program. Currently she is the Juilliard-Nord Anglia Performing Arts Regional Lead in China wherein she will oversee 10-14 Nord Anglia Schools in the field of Performing Arts. She is looking forward to developing the Performing Arts Programme at Leman International School.